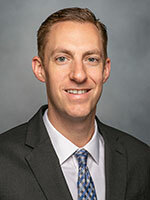 Andrew P. Ambrosy, MD, is a practicing cardiologist at Kaiser Permanente in San Francisco as well as research scientist within the Division of Research’s section on Cardiovascular and Metabolic Conditions. His research interests are ischemic heart disease, cardiomyopathy, and heart failure, and he has extensive prior experience in health outcomes, implementation science, and traditional and pragmatic clinical trials. He previously completed a dedicated research fellowship at Duke University Medical Center/Duke Clinical Research Institute where he was a member of the operations team for the National Heart, Lung, and Blood Institute-funded Heart Failure Network and several industry-sponsored clinical trials. He has presented his research at national and international scientific meetings and has authored approximately 100 peer-reviewed manuscripts. Eur J Heart Fail. 2019 Feb 07. Author(s): Ambrosy AP; Roy A; STICH Trial Investigators; et al. Eur J Heart Fail. 2019 Jan 30. Eur J Heart Fail. 2019 Jan 09. J Am Soc Echocardiogr. 2018 Dec 11. Is Time From Last Hospitalization for Heart Failure to Placement of a Primary Prevention Implantable Cardioverter-Defibrillator Associated With Patient Outcomes? N Engl J Med. 2018 Nov 11. Author(s): Greene SJ; Ambrosy AP; Butler J; et al. Eur J Heart Fail. 2018 Nov 11. Reassessing the Role of Surrogate End Points in Drug Development for Heart Failure. Circulation. 2018 Sep 04;138(10):1039-1053. Epub 2018-10-28. Undiagnosed dysglycemia in patients hospitalized for worsening heart failure: not so sweet after all. European journal of preventive cardiology. 2018 Oct 28;():2047487318810561. Epub 2018-10-28. ESC heart failure. 2018 Aug 17;122(9):1451-1458. Epub 2018-08-17. Improving Postdischarge Outcomes in Acute Heart Failure. American journal of therapeutics. 2018 Aug 17;25(4):e475-e486. Epub 2018-08-17. Natural History of Patients Postacute Coronary Syndrome Based on Heart Failure Status. The American journal of cardiology. 2018 Nov 01;122(9):1451-1458. Epub 2018-08-04. Loop diuretic adjustments in patients with chronic heart failure: Insights from HF-ACTION. American heart journal. 2018 Jul 29;122(9):1451-1458. Epub 2018-07-29. The American journal of cardiology. 2018 Sep 15;122(6):999-1007. Epub 2018-06-23. European journal of heart failure. 2018 Sep 17;20(9):1323-1325. Epub 2018-06-22. Sudden Death After Hospitalization for Heart Failure With Reduced Ejection Fraction (from the EVEREST Trial). The American journal of cardiology. 2018 Jul 15;122(2):255-260. Epub 2018-04-11. Is Time of the Essence? The Impact of Time of Hospital Presentation in Acute Heart Failure: Insights From ASCEND-HF Trial. JACC. Heart failure. 2018 Apr 15;6(4):298-307. Epub 2018-03-07. The role of angiotensin receptor-neprilysin inhibitors in cardiovascular disease-existing evidence, knowledge gaps, and future directions. European journal of heart failure. 2018 Jun 15;20(6):963-972. Epub 2018-02-21. Angiotensin receptor-neprilysin inhibitor therapy in heart failure: An end that justifies the means. American heart journal. 2018 May 17;199(9):176-177. Epub 2018-02-15. Prevalent digoxin use and subsequent risk of death or hospitalization in ambulatory heart failure patients with a reduced ejection fraction-Findings from the Heart Failure: A Controlled Trial Investigating Outcomes of Exercise Training (HF-ACTION) randomized controlled trial. American heart journal. 2018 May 17;199(9):97-104. Epub 2018-02-11. Interaction of Body Mass Index on the Association Between N-Terminal-Pro-b-Type Natriuretic Peptide and Morbidity and Mortality in Patients With Acute Heart Failure: Findings From ASCEND-HF (Acute Study of Clinical Effectiveness of Nesiritide in Decompensated Heart Failure). Journal of the American Heart Association. 2018 Feb 03;7(3):963-972. Epub 2018-02-03. Predictors of Post-discharge Mortality Among Patients Hospitalized for Acute Heart Failure. Cardiac failure review. 2017 Nov 03;3(2):122-129. Epub 2018-02-03. American heart journal. 2018 Apr 15;198(2):145-151. Epub 2018-01-10. Expanded algorithm for managing patients with acute decompensated heart failure. Heart failure reviews. 2018 Jul 15;23(4):597-607. Epub 2018-01-10. European journal of heart failure. 2018 03 03;20(3):533-535. Epub 2018-01-04. European journal of heart failure. 2018 04 03;20(4):630-641. Epub 2017-10-29. European journal of heart failure. 2018 02 03;20(2):304-314. Epub 2017-10-29. European journal of heart failure. 2018 02 03;20(2):281-291. Epub 2017-10-17. European journal of heart failure. 2017 10 03;19(10):1255-1257. Epub 2017-08-08. European journal of heart failure. 2017 11 03;19(11):1424-1426. Epub 2017-08-08. Current cardiology reports. 2017 08 03;19(8):71. Epub 2017-08-08. Building the case for aerobic exercise in ambulatory patients with heart failure and a reduced ejection fraction. American heart journal. 2017 Oct 03;192(2):e3. Epub 2017-07-15. European journal of heart failure. 2017 11 03;19(11):1358-1360. Epub 2017-06-28. Journal of the American College of Cardiology. 2017 Jun 27;69(25):3029-3039. Epub 2017-06-28. Trajectory of Congestion Metrics by Ejection Fraction in Patients With Acute Heart Failure (from the Heart Failure Network). The American journal of cardiology. 2017 07 01;120(1):98-105. Epub 2017-04-12. American heart journal. 2017 Apr 01;186(1):130-138. Epub 2017-01-19. Reply: Factors That May Affect Body Change During and After Hospitalization for Acute Heart Failure. JACC. Heart failure. 2017 04 01;5(4):311-312. Epub 2017-01-19. Global Variations in Patient Populations and Outcomes in Heart Failure Clinical Trials. Current heart failure reports. 2017 02 01;14(1):30-39. Epub 2017-01-19. Body Weight Change During and After Hospitalization for Acute Heart Failure: Patient Characteristics, Markers of Congestion, and Outcomes: Findings From the ASCEND-HF Trial. JACC. Heart failure. 2017 01 01;5(1):1-13. Epub 2017-01-19. European journal of heart failure. 2017 04 01;19(4):552-562. Epub 2016-10-17. Influence of Clinical Trial Site Enrollment on Patient Characteristics, Protocol Completion, and End Points: Insights From the ASCEND-HF Trial (Acute Study of Clinical Effectiveness of Nesiritide in Decompensated Heart Failure). Circulation. Heart failure. 2016 09 01;9(9):552-562. Epub 2016-10-17. Targeting digoxin dosing to serum concentration: is the bullseye too small? European journal of heart failure. 2016 08 01;18(8):1082-4. Epub 2016-10-17. JACC. Heart failure. 2016 06 01;4(6):419-27. Epub 2016-10-17. Changes in Dyspnea Status During Hospitalization and Postdischarge Health-Related Quality of Life in Patients Hospitalized for Heart Failure: Findings From the EVEREST Trial. Circulation. Heart failure. 2016 05 01;9(5):419-27. Epub 2016-10-17. Digoxin for Worsening Chronic Heart Failure: Underutilized and Underrated. JACC. Heart failure. 2016 05 01;4(5):365-7. Epub 2016-10-17. Natriuretic peptide-guided management in heart failure. Journal of cardiovascular medicine (Hagerstown, Md.). 2016 Aug 01;17(8):556-68. Epub 2016-10-17. In-Hospital Diuretic Agent Use and Post-Discharge Clinical Outcomes in Patients Hospitalized for Worsening Heart Failure: Insights From the EVEREST Trial. JACC. Heart failure. 2016 07 01;4(7):580-588. Epub 2016-03-30. The American journal of cardiology. 2016 Apr 01;117(7):1144-50. Epub 2016-01-14. European journal of heart failure. 2016 Mar 01;18(3):306-13. Epub 2015-10-14. Hospitalized Heart Failure in the United States: Lessons Learned from Clinical Trial Populations. Heart failure clinics. 2015 Oct 01;11(4):591-601. Epub 2015-08-04. Identifying Barriers and Practical Solutions to Conducting Site-Based Research in North America: Exploring Acute Heart Failure Trials As a Case Study. Heart failure clinics. 2015 Oct 01;11(4):581-9. Epub 2015-08-04. Length of hospital stay and 30-day readmission following heart failure hospitalization: insights from the EVEREST trial. European journal of heart failure. 2015 Oct 01;17(10):1022-31. Epub 2015-05-09. Cardiac failure review. 2015 Apr 01;1(1):38-45. Epub 2015-05-09.
International REgistry to assess medical Practice with lOngitudinal obseRvation for Treatment of Heart Failure (REPORT-HF): rationale for and design of a global registry. European journal of heart failure. 2015 May 01;17(5):527-33. Epub 2015-03-10. Effect of minor liver function test abnormalities and values within the normal range on survival in heart failure. The American journal of cardiology. 2015 Apr 01;115(7):938-41. Epub 2015-01-28. The American journal of cardiology. 2014 Dec 01;114(11):1713-21. Epub 2014-09-16. Global perspectives in hospitalized heart failure: regional and ethnic variation in patient characteristics, management, and outcomes. Current heart failure reports. 2014 Dec 01;11(4):416-27. Epub 2014-09-16. Epidemiology, pathophysiology, and in-hospital management of pulmonary edema: data from the Romanian Acute Heart Failure Syndromes registry. Journal of cardiovascular medicine (Hagerstown, Md.). 2016 Feb 01;17(2):92-104. Epub 2014-09-16. American heart journal. 2014 Aug 01;168(2):142-9. Epub 2014-05-24. Clinical profile and prognostic value of anemia at the time of admission and discharge among patients hospitalized for heart failure with reduced ejection fraction: findings from the EVEREST trial. Circulation. Heart failure. 2014 May 01;7(3):401-8. Epub 2014-04-15. Journal of cardiovascular medicine (Hagerstown, Md.). 2015 May 01;16(5):331-40. Epub 2014-04-15. Journal of the American College of Cardiology. 2014 May 13;63(18):1823-32. Epub 2014-03-05. Heart failure reviews. 2014 Nov 13;19(6):695-8. Epub 2014-03-05. Journal of the American College of Cardiology. 2014 Apr 01;63(12):1123-1133. Epub 2014-02-05. The predictive value of transaminases at admission in patients hospitalized for heart failure: findings from the RO-AHFS registry. European heart journal. Acute cardiovascular care. 2013 Jun 01;2(2):99-108. Epub 2014-02-05. The American journal of cardiology. 2013 Dec 01;112(11):1763-9. Epub 2013-10-04. Not time to RELAX in acute heart failure. Lancet (London, England). 2013 May 25;381(9880):1813. Epub 2013-07-11. European journal of heart failure. 2013 Dec 01;15(12):1401-11. Epub 2013-07-11. Hepatic abscess with biliary communication following transarterial chemoembolization of hepatocellular carcinoma. Digestive diseases and sciences. 2013 Sep 25;58(9):2463-5. Epub 2013-02-20. Nature reviews. Cardiology. 2013 Feb 25;10(2):85-97. Epub 2013-01-08. Clinical course and predictive value of congestion during hospitalization in patients admitted for worsening signs and symptoms of heart failure with reduced ejection fraction: findings from the EVEREST trial. European heart journal. 2013 Mar 25;34(11):835-43. Epub 2013-01-04. Clinical profile and prognostic value of low systolic blood pressure in patients hospitalized for heart failure with reduced ejection fraction: insights from the Efficacy of Vasopressin Antagonism in Heart Failure: Outcome Study with Tolvaptan (EVEREST) trial. American heart journal. 2013 Feb 25;165(2):216-25. Epub 2012-12-29. Relationship between clinical trial site enrollment with participant characteristics, protocol completion, and outcomes: insights from the EVEREST (Efficacy of Vasopressin Antagonism in Heart Failure: Outcome Study with Tolvaptan) trial. Journal of the American College of Cardiology. 2013 Feb 05;61(5):571-9. Epub 2012-12-12. Association of arginine vasopressin levels with outcomes and the effect of V2 blockade in patients hospitalized for heart failure with reduced ejection fraction: insights from the EVEREST trial. Circulation. Heart failure. 2013 Jan 05;6(1):47-52. Epub 2012-12-12. Prognostic significance of serum total cholesterol and triglyceride levels in patients hospitalized for heart failure with reduced ejection fraction (from the EVEREST Trial). The American journal of cardiology. 2013 Feb 15;111(4):574-81. Epub 2012-12-01. American heart journal. 2012 Dec 15;164(6):884-92.e2. Epub 2012-10-29. Predictive value of low relative lymphocyte count in patients hospitalized for heart failure with reduced ejection fraction: insights from the EVEREST trial. Circulation. Heart failure. 2012 Nov 15;5(6):750-8. Epub 2012-10-09. Influence of documented history of coronary artery disease on outcomes in patients admitted for worsening heart failure with reduced ejection fraction in the EVEREST trial. European journal of heart failure. 2013 Jan 15;15(1):61-8. Epub 2012-09-11. The American journal of cardiology. 2012 Dec 01;110(11):1623-6. Epub 2012-08-31. Journal of cardiac failure. 2012 Jul 01;18(7):515-23. Epub 2012-06-04. Current management and future directions for the treatment of patients hospitalized for heart failure with low blood pressure. Heart failure reviews. 2013 Mar 01;18(2):107-22. Epub 2012-06-04. Journal of cardiovascular medicine (Hagerstown, Md.). 2012 Jun 01;13(6):360-7. Epub 2012-06-04. Clinical course and predictive value of liver function tests in patients hospitalized for worsening heart failure with reduced ejection fraction: an analysis of the EVEREST trial. European journal of heart failure. 2012 Mar 01;14(3):302-11. Epub 2012-06-04. A comprehensive, longitudinal description of the in-hospital and post-discharge clinical, laboratory, and neurohormonal course of patients with heart failure who die or are re-hospitalized within 90 days: analysis from the EVEREST trial. Heart failure reviews. 2012 May 01;17(3):485-509. Epub 2012-06-04. Combining SERCA2a activation and Na-K ATPase inhibition: a promising new approach to managing acute heart failure syndromes with low cardiac output. Discovery medicine. 2011 Aug 01;12(63):141-51. Epub 2012-06-04. Changes in renal function during hospitalization and soon after discharge in patients admitted for worsening heart failure in the placebo group of the EVEREST trial. European heart journal. 2011 Oct 01;32(20):2563-72. Epub 2011-07-23. The Romanian Acute Heart Failure Syndromes (RO-AHFS) registry. American heart journal. 2011 Jul 01;162(1):142-53.e1. Epub 2011-06-15. Coronary multidetector computed tomographic angiography to evaluate coronary artery disease in liver transplant candidates: methods, feasibility and initial experience. Journal of cardiovascular medicine (Hagerstown, Md.). 2011 Jul 01;12(7):460-8. Epub 2011-06-15. Eplerenone reduces risk of cardiovascular death or hospitalisation in heart failure patients with reduced ejection fraction. Evidence-based medicine. 2011 Aug 01;16(4):121-2. Epub 2011-05-10. Tolvaptan for the treatment of heart failure: a review of the literature. Expert opinion on pharmacotherapy. 2011 Apr 01;12(6):961-76. Epub 2011-03-15. Acute heart failure syndromes: assessment and reconstructing the heart. Journal of cardiovascular medicine (Hagerstown, Md.). 2011 Apr 01;12(4):258-63. Epub 2011-03-15. Heart failure in 2010: one step forward, two steps back. Nature reviews. Cardiology. 2011 Feb 01;8(2):72-3. Epub 2011-03-15. Recurrent headaches in children: an epidemiological survey of two middle schools in inner city Chicago. Pain practice : the official journal of World Institute of Pain. 2011 Feb 01;10(3):214-21. Epub 2010-01-08. Paediatric anaesthesia. 2009 Nov 01;19(11):1084-9. Epub 2010-01-08. Paediatric anaesthesia. 2009 Sep 01;19(9):892-8. Epub 2009-07-13.